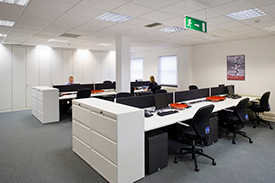 Rockford Office Supply provides high quality supplies, furniture and design services for today’s office. We have more than 5,000 items in stock and can get just about anything else on a daily basis. With a catalogue of more than 65,000 items, we’ll find what you need for your home or business office. Rockford Office Supply offers a full range of name brand and affordable office furniture. We sell excellent quality printers and computers too. We carry a full range of office supplies that match and even beat the prices of the big box stores on mnay items. Pens, ink, paper, desktop items and much more is available at competitive prices. 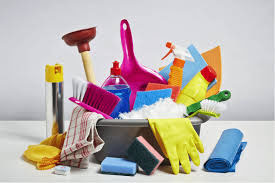 We carry office cleaning and break room supplies. 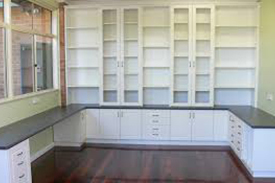 You will find filing cabinets, shelving systems, and desks in many sizes and styles. We carry fine ballpoint and fountain pens, art supplies, gift cards, wrapping paper, wall hangings, and those little gift items for co-workers. We sell in bulk and in small quantities. You can get one pencil instead of 12; 10 sheets of stationery rather than 100; single lead replacements for your mechanical pencil, and so forth. And we’ll have “obsolete” things that others won’t carry, even the typewriter ribbons for old typewriters – we’ll wind the ribbon on the spools for you! To function well, an office must be well designed! Rockford Office Supply provides entire office designs and custom installations. Curtis Scribner, co-owner with wife Jennifer Scribner of Rockford Office Supply, brings years of experience to the design and appointment of attractive and functional offices. He’s worked on spaces large and small. Curtis focuses on giving people what they need in an office, no more and no less. He studies the space and listens carefully to his client to understand how the space should function. He works out a budget and comes up a couple viable options. He gives advice based on experience, and allows his clients to make changes during the design process. “Once everything’s decided, we put it all together,” he says.